It’s important, in the grand scheme of life and the American-way, not to lose sight of your standards. 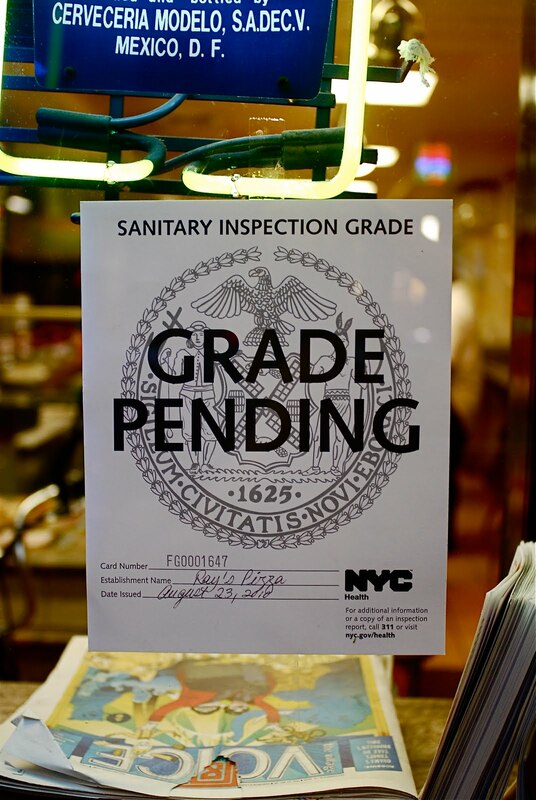 In NYC, every restaurant is required by law to display an A through C health and sanitation grade. Here is a link explaining how it works, and why it’s awesome and should be taken seriously. In our neighborhood alone there are multiple restaurants with a B (marginally offensive) and a C (terrifying!). As a person who respects my body (though I inject it with way too much caffeine, but we all have our vices) I refuse to eat somewhere that garners such a low score. I also really, very much, hate to throw up. There is a funny episode of How I Met Your Mother from season six where Marshall and Lily insist on eating at a restaurant with a D (this is not a possible score now, but was at one time) and they both get food poisoning. Of course, turns out, Lily is pregnant — but really, standards people! Standards, expectations, imagination. And here I bring in my point. Ready? Have you guessed it? We achieve what we believe ourselves to be capable of. If you decide you are only able to do one meal a day and the rest are peanut butter sandwiches or cereal that’s OK. If you think your kid incapable of sleeping through the night, they won’t. If you believe your craft worthy of publication, and you raise your expectations, you educate yourself, you work really hard, you can do it. Often, we begin with a grand plan and somewhere in the execution we lose sight of the goal. We let our expectation for success be thwarted by the hardship of the journey. We stop breaking open our imaginations to find the best route to our goal. We give up. We lower our standards to a place that is manageable and comfortable. We eat at the restaurant with the C grade and the waitress who just sneezed in your coffee.